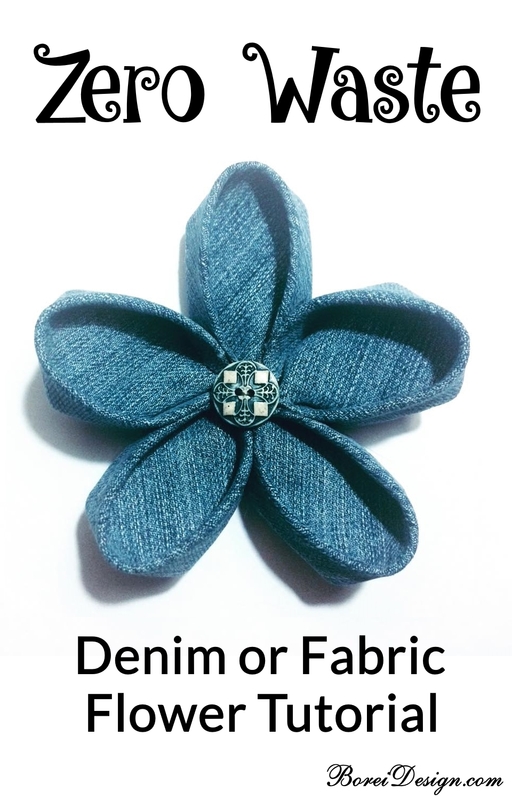 Have an old pair of jeans or other clothing that's no longer wearable and some decorative stray buttons laying around? Why not upcycle them into cute flowers? 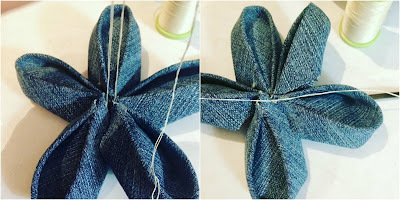 Step 1: Make the five petals of the flower. 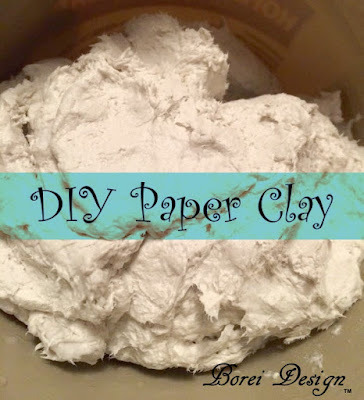 They are SUPER easy to make and I made a quick video to show you exactly how to do it. You can help secure the back folds and/or bottom tails together using a small dot of glue if desired. If you flowers need to be machine washable, use washable fabric glue. If not, craft glue will work as well. Applying Fray Check to the back will help to keep the denim or other fabrics from raveling. Step 2: Join the petals together. 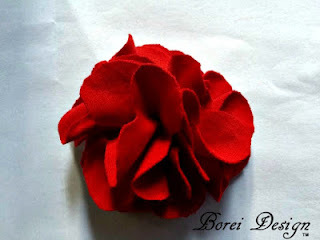 You can join the petals together with dots of (fabric or craft as applicable) glue or a needle and thread. 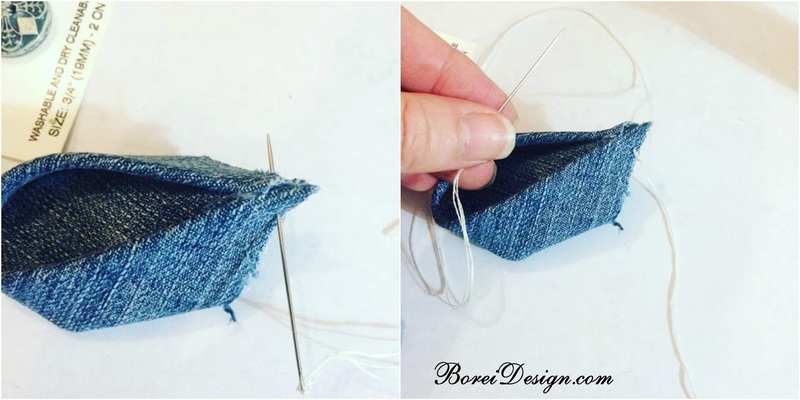 Here is how I join mine with needle and thread. Thread a needle with strong (doubled) sewing thread or embroidery floss. Stitch through the bottom tails of your first petal, leaving a long tail thread. Do not knot the tail thread. Continuing adding petals by stitching through the bottom tails. Slide each petal close to the previous one after adding. Add five petals total. 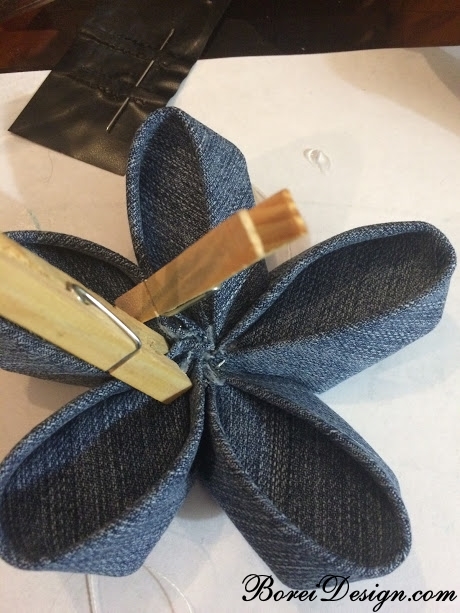 Remove needle from thread and pull both tails upward to slide petals tightly in place. Double knot thread ends and trim excess thread ends. I usually add a little glue between the petals to help them to stay fluffed open. Clothes pins will help them stay in place until the glue dries. Step 4: Add finishing center piece if desired and enjoy! You can sew or glue on a stray button, bead, decorative bottle cap, etc. to the center for a nice finished look if desired. I'm currently using these flowers on reusable coffee sleeves. 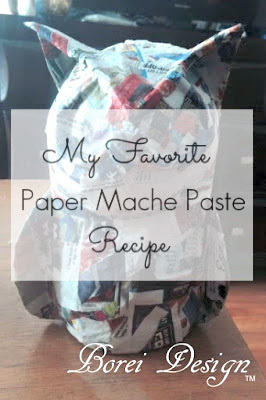 See my: DIY Reusable Coffee Sleeve and Free Pattern Tutorial. I will update this post with a picture of it as soon as I have time to finish it. You could use them for sewing embellishments, hair bows, brooches and even flower arrangements. To create a flower for a vase simply remove on old fake flower from it's stem and replace it with your fabric flower with glue. There's really no limit to how you can use these. 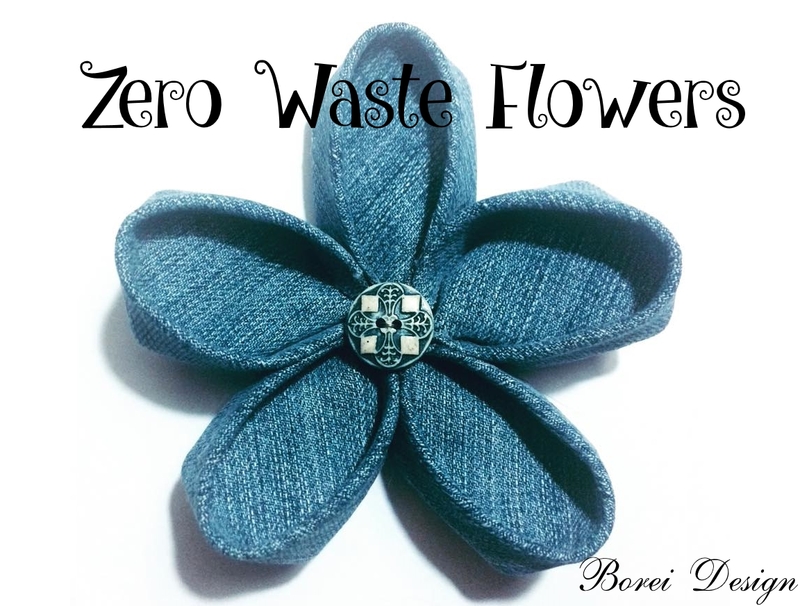 If you have old t-shirts ready for upcycle you can also check out my T-shirt Flower Tutorial. Lovely flover :) Thank you for this tuto..